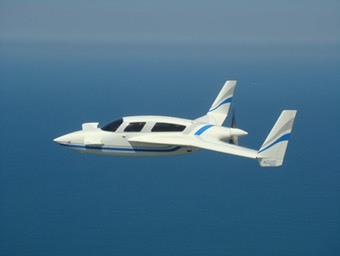 Everyone I talked to who built composite aircraft warned about sanding. AND THEY WERE RIGHT! What a mess! 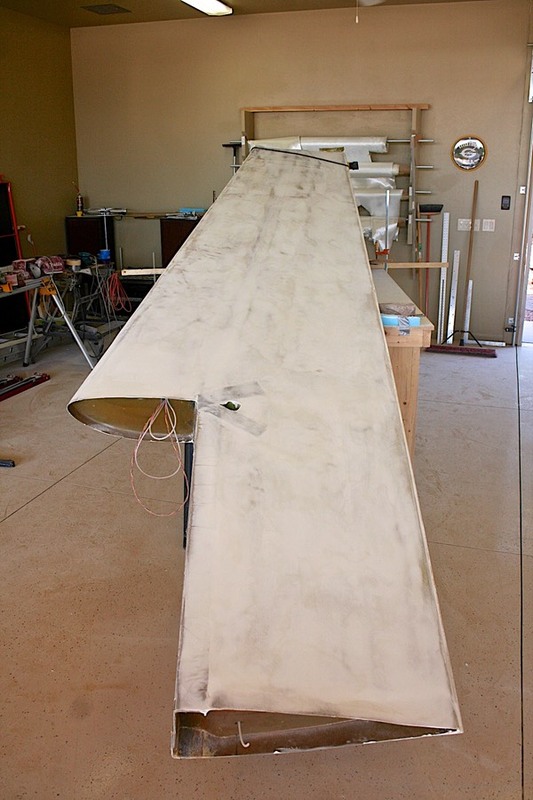 By the time I got done with both wings my hangar was just covered in white, powdery epoxy. I ended up pulling everything I could out of the hangar and washed it down. It took awhile but made a big difference. I still have more sanding to do but not at all on the same scale as I did with the wings. And I even used a dust collection system when I could! If you build one of these, make sure you have a really good dust mask! You do not want to breathe that stuff in. The first part of the process is to slather on Velocipoxy Microballoons. I mixed it to the consistenacy of mayonnaise but it still ran down creating a mess. Darn gravity! It actually looks kind of shiny after that first coat is applied! Because I used so much I mixed it in that white bucket, poured it on, then used drywall taping knives to smooth it out. 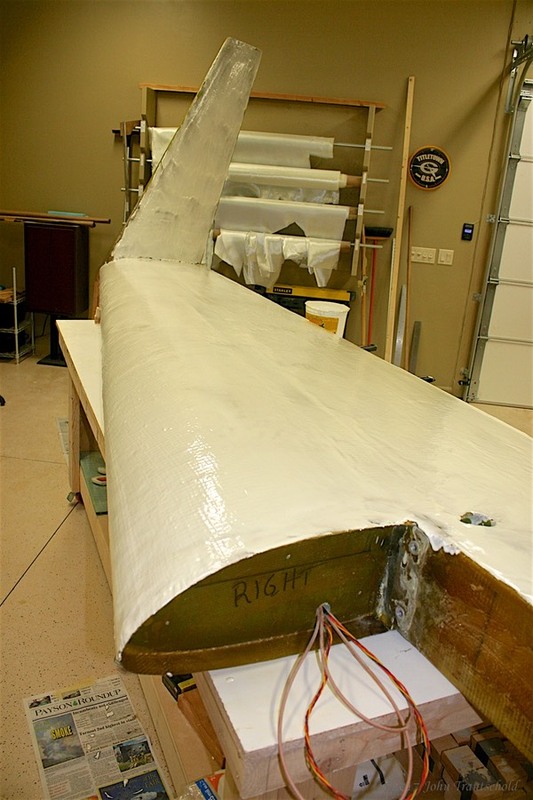 The underlying fiberglass needs to be smoothed out and "finished". This is the beginning of that process on the upper side of the left wing. I use Velocipoxy "Micro-balloons" here to fill in the fiberglass in preparation for an epoxy primer coat to be added later. After this is applied and cured the sanding process begins. 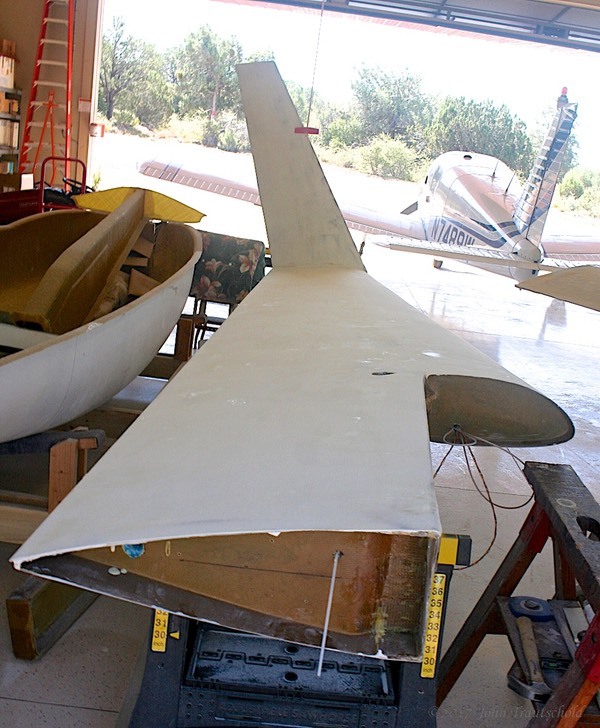 This is what the wing looks like after the first sand is complete. This photo happens to be the bottom of the wing though. It’s no longer shiny but it is much smoother! And take a look at the floor - you can see the fine dust covering it! 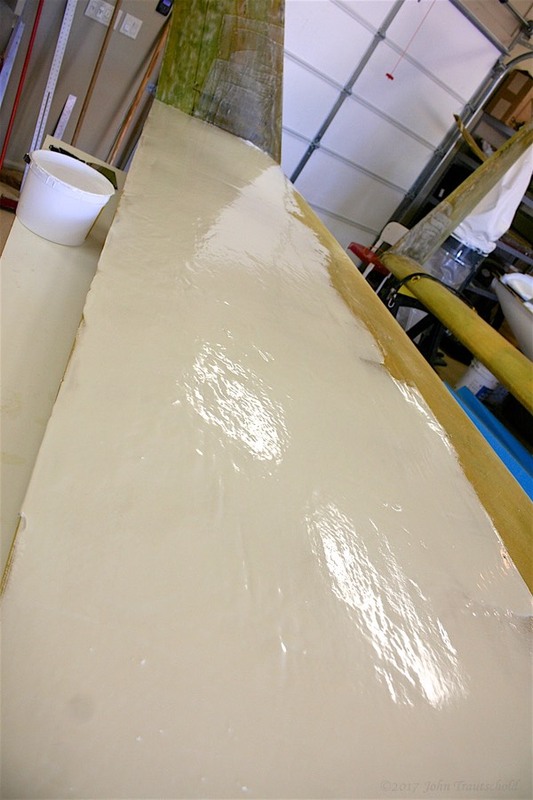 Here's the bottom of the left wing multiple sandings and fill applications of the epoxy gel coat. It's hard to tell from the photo but at this point the wing surface is about as smooth and level as I can make it. The epoxy primer, to be added later, will finish out the smoothing process. Here's a photo of the finished surface for the top left wing. And we start the process all over again for the right wing. This is the first coat for the top side of the wing. Once everything is sanded as best as possible, it’s time to start cutting up the wings and winglets to make ailerons and rudders. Yeah, after putting in all of this effort we now start cutting and slicing it all up! That’s a bit scary!!! The book actually recommends applying an epoxy primary coat at this point but everyone that I talked to at Oshkosh said to hold off doing that until later. More filling needs to be done once everything is cut out so there’s really no point doing it now. Aileron construction starts here!